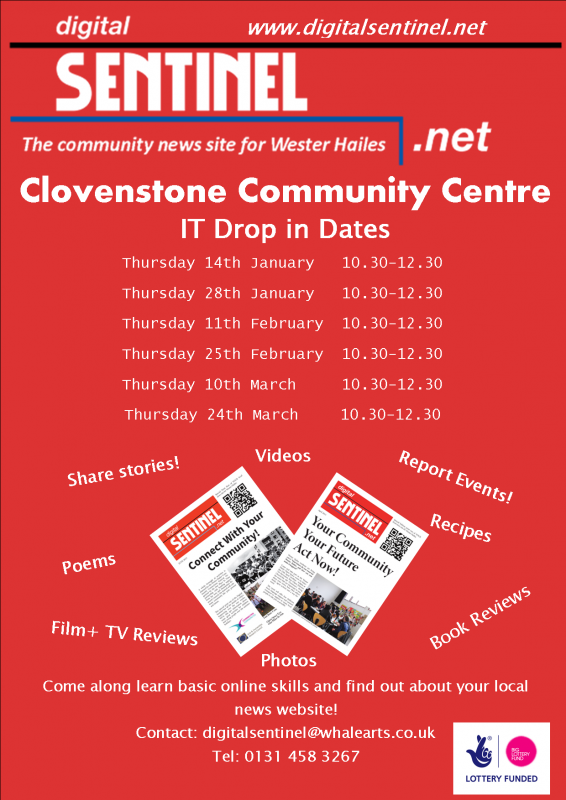 The Digital Sentinel will be holding an IT drop in session at Clovenstone Community Centre tomorrow from 10.30am – 12.30pm! The drop-ins at Clovenstone will be held fortnightly as they will be alternating between the community centre and WHALE Arts Centre. Come along, tell us about any news or stories, learn basic online skills and get involved with your local news website. There is no need to book and people are free to stay for as long as they are able. Come along and find out how you could become one of our community reporters!